All we need is Love, they say. That's what we get in new single "Boogie" where The Love is just as prominent in the artist's names as it is in the T.L.C. they provide our ears, soul, and dancing shoes. Produced by Scottish duo Shaka Loves You and featuring US-based lyricist Fullee Love, this crew blankets the moment with an aroma of invigorating funk samples, infectious bongo grooves, and soulful singing to set the party ablaze. Becoming fast recognized for their rejuvenating style in the funky electronic space, Jamie and Marty of S.L.Y. bring a needed old-school sound using classic samples, drum breaks, and a special live percussive edge. The voice of Fullee Love places seamlessly over this renewed funky flavor, while embodying an eerie familiarity to it. That's because Fullee Love is also the voice of Zaakir AKA Soup from the iconic Jurassic 5 hip hop group. This track will make you smile, but if you're a J5 fan, you're probably grinning ear to ear. Showcasing his singing side in "Boogie", Fullee Love breaks into the funky electronic space not far behind fellow J5 members Chali 2na and Cut Chemist. Chali 2na's work with producer Krafty Kuts has received overwhelming support from fans, while Cut Chemist headlined the Ghetto Funk Nightclub at this year's Shindig Weekender Festival. Let's see what's next for Fullee Love. Catch this single out now via Bombstrikes and EP The Boogie due out November 30th. Get behind-the-scenes insight on this track and more from the S.L.Y. guys themselves in our exclusive interview with them below! You guys teamed up with Fullee Love aka Soup from Jurassic 5. Tell us how that came together and how it was working with him? It all came together fairly easily, to be honest. We just hit him up on facebook, said we were working on some tracks and asked if he might be up for doing a vocal for one of them. We sent over a few things we'd been working on and he picked the 'boogie' beat. He was super easy and laid back to work with and the funny thing was we had no idea he was gonna sing on it! We fully expected him to send a rap back, but we're really glad he went with that vibe, as it totally suits the track. Your live sets include a special blend of groovy bongos and DJing. What's the Shaka Loves You experience like? Yeah, so our live show consists of Jamie cutting up all sorts of styles of music from, funk, soul & disco through to hip-hop, reggae & house. Add in Marty playing live percussion and if the show allows we also do the A/V [Audiovisual] thang and have custom visuals playing alongside the music. Our shows are all about good music, good vibes & good times!
" 'Boogie' is a fun, funky, throwback, b-boy style track designed to get a party moving and get people on the dance floor. Super catchy and guaranteed to get in your head for ages!" 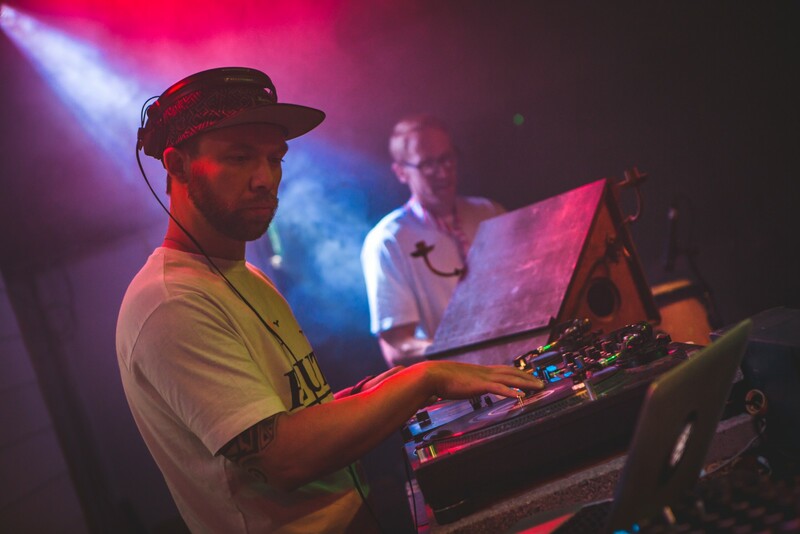 We recently caught you guys at Father Funk’s Church of Love featuring K+Lab in Bristol. The UK seems to be the European hotspot for all things funky and we love it. Tell us more about the scene you come from and what makes it unique. Ah yeah, Bristol was a great show, we had far too much fun that night! Shout out to the Tremor and Church of Love crew. Yeah, loads of amazing funky music coming out of the UK. Where we're from in Glasgow scene is wicked too, lots of world class house and techno, some great disco & funk nights, a bubbling dub/reggae scene so there's always something cool to go and see. What’s coming up for Shaka Loves You? Lots actually! We have The Boogie EP out on 30 November on Bombstrikes. another remix and mixtape out in December and then a new podcast and radio show coming early 2019. If you subscribe to our newsletter you'll get all this info plus lots of exclusives before anyone else. Just head right over to shakalovesyou.com to sign up! 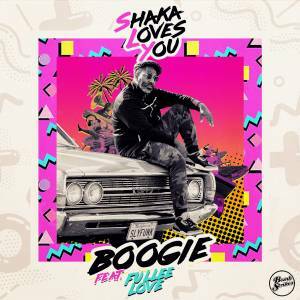 Stream "Boogie" by Shaka Loves You feat. Fullee Love on all major platforms here!